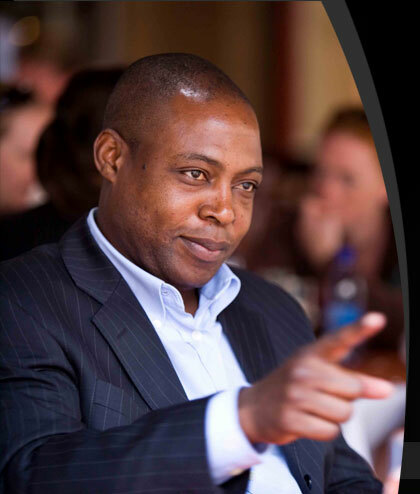 Football Association of Zambia (FAZ) president Kalusha Bwalya has been indefinitely suspended from all sports activities by the country’s Sports Council. The decision leaves Zambia at risk of an international ban by the game’s world governing body, Fifa, which does not allow government interference in the running of the game. Bwalya was suspended by the government body for refusing to appear before the council’s disciplinary committee to answer charges relating to the transfer of a minor to Israeli side Maccabi Tel-Aviv last year. Controversy around the sale of striker Emmanuel Mayuka to Tel-Aviv started last year after his Zambian club Kabwe Warriors accused Faz of issuing an International Transfer Certificate (ITC) without their consent. Warriors’ complaint prompted the government to direct the sports council to launch an investigation into the matter. The 50-day investigation, which included a public hearing, exposed a number of irregularities and was also a matter of debate in Zambia’s parliament. The 90-page report into the transfer alleged that Bwalya and his vice Emmanuel Munaile influenced the issuance of the ITC. But Bwalya on Monday refused to appear before the council’s disciplinary committee saying his association had reported the matter to Fifa for adjudication. “We wanted him to answer to the issues that have been raised against him,” council chairperson Dr Julius Sakala told BBC Sport. “The sports council takes great exception to his reference of the matter to Fifa because we operate under an act of parliament. Dr. Sakala who is one of the country’s most prominent lawyers, defended the Sports Council against possible Fifa sanctions. Bwalya’s suspension has led to the indefinite postponement of the Faz annual general meeting slated for Saturday. Quite interesting to read thru all these emotional hoola-baloo! I would love to respect Dr Julius Sakala as one of Zambia’s prolific lawyers. However, I know that he has lost it on this one. Or is it, he or the National Sports Council of Zambia. Like it or not, this is a clash of personalities and “who’s who” war. The unfortunate part is that the NSCZ has lost it here. They have right fromt he beginning politicised the whole issue. Like it or not, Kalu comes out clean on this one, regardless of whether or not his hands are muddled on the transfer of Mayuka. And all this is, thank you to the “kindergarten” excitement and lack of level-headedness on the part of Dr Sakala and Co.
Like it or not, or rather cut my throat, Kalu will come out victor in this time-wasting encounter. Already, Dr Sakala has given FIFA the ammunition: he has implicated government interest in the matter. Not only that, Dr Sakala & Co did not even bother to peruse guidelines as spelt out by FIFA on following up matters such as this. Like it or not, the FIFA laws, statutes and guidelines OVERRIDE (read 100 times) OVERRIDE any geo-political tenets in as far as the running of the game known as association football (aka soccer) is concerned. When you want to sound knowledgeable and bring in Act blah-blah-blah of the Laws of Zambia, or whatever, then you know you have armed the defendant already. It is unfortunate that people want to judge Kalu’s accomplishments from a personal standpoint. If you don’t like the guy, too bad for you. You can only judge him without that kind of stupid bias. You can’t take away anything from him, try as much as you may. Ask Sepp Blatter, and he will tel you who or what Kalu is. Even The Post know that. Love him or hate him, the dude is great and you cannot change history. It would be comforting for you to appreciate that he is FAZ president. Like it or not, otherwise he is above national soccer administration. he just loves his country. He may have some skeletons in his cupboard, but your approach to revealing them would only cost your only credibility. Players are contracted to clubs and not national associations. If the so called great Kalu sold Mayuka who is under contract to Kabwe Warriors without their concent then I am afraid Kalu is in the wrong. ‘Great footballers’ win trophies for their countries. If kalu is really great it speaks to the poverty of the Zambian game. ‘Near enough is never good enough’…you have to win trophies!